The Nintendo DS handheld console is one of the more exciting handheld releases although if you’re on the go a lot, it can often be inconvenient for you to carry this expensive piece of technology around with you. On the other hand, it’s uncommon for us not to have our mobile phones on our person the majority of the time. With that in mind, it’s very useful to have access to a DS emulator Android. Below are some of the best DS emulators out there which are available and which everyone can get access to in no time at all. This emulator is one of the newer DS emulators out there and is fairly simple to use in comparison to the others out there. One of the best features of this emulator is that not only is it free, but there are no advertisements disturbing you while using the app. If you’re worried about whether or not this Nintendo DS emulator will be compatible with your device, there is no need to worry. The app itself is updated regularly to ensure that it is compatible with as many devices as possible. Retroarch is without a doubt my favourite Nintendo 3DS emulator for Android for the simple reason that it isn’t developed specifically for emulating the Nintendo system. Retroarch is an open-sourced application which can be adjusted to use as an emulator for a variety of other systems too. This includes the PSP platform. Another one of the best DS emulator for Android is Smart, an application which requires a little more technical experience than some of the other emulators out there but offers so much more. Unlike some of the others, you are required to set the Nintendo system up from scratch as it does not come equipped with the necessary ROMs. However, you are able to download a variety of games through the application itself rather than getting them through a third party. While you have to install the system on your own, you are provided with an endless library of games. If you’re willing to put some money into getting your hands on a decent Android DS emulator, then DraStic is the emulator for you. The DraStic DS Emulator is similar to NDS Boy in the sense that it is very easy to use, although this emulator is compatible with games developed for the Nintendo 3DS. Last, but not least, Pretendo. If you have an older Android device, then this is an application which I recommend for you. If you have a newer Android device, then I recommend taking a look at the other options out there. Pretendo, while a fine application, is outdated and isn’t compatible with a lot of newer devices. That being said, it works perfection on older Android devices! 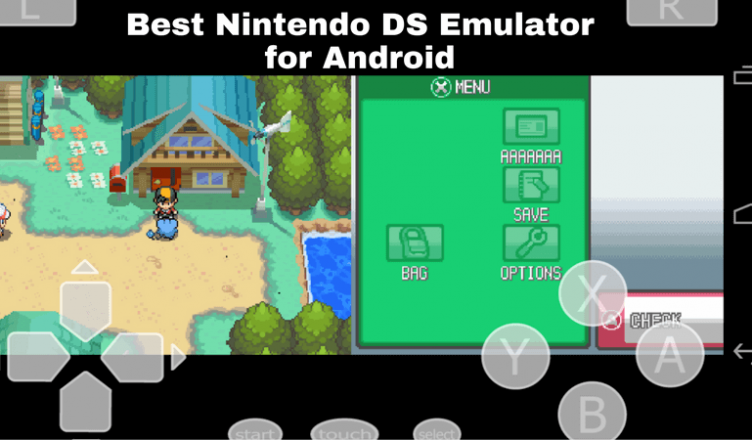 When it comes to seeking out the perfect Nintendo DS emulator Android, it’s all about what you’re comfortable with using. Today we took a look at several of the emulators which stand out from the crowd although ultimately, it comes down to your own preferences and what you’re looking for in an emulator. If you’re looking for one which allows you to play games on multiple platforms, perhaps look into using Retroarch. If you’re looking for one which lets you play 3DS games, maybe take a look at the DraStic DS emulator. No matter what you’re looking for, there’s something for everyone.